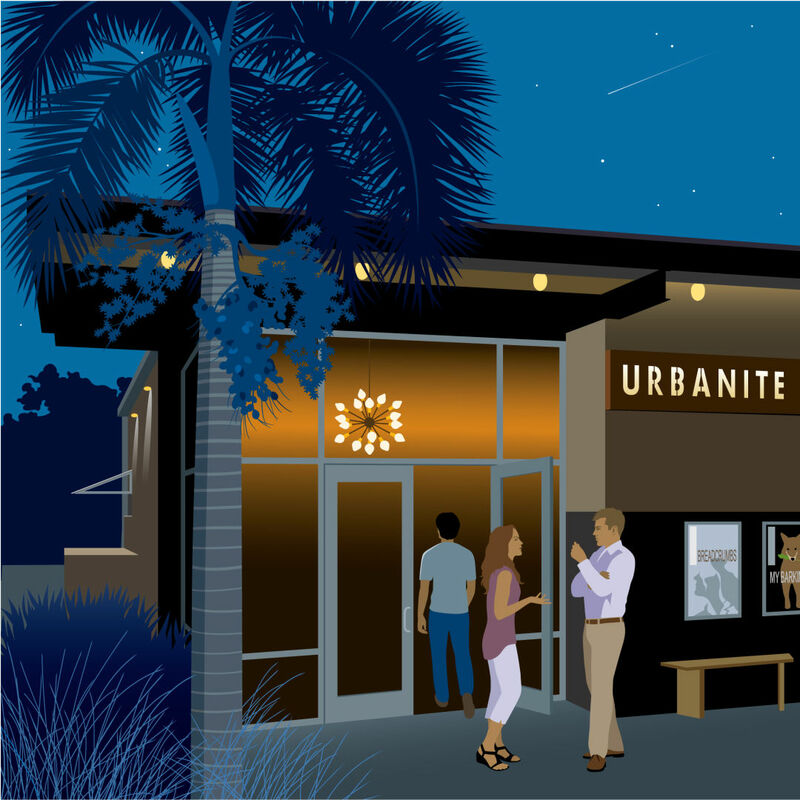 John Pirman sketches downtown Sarasota's sleek Urbanite Theatre. Now in its second season, the Urbanite Theatre is attracting full houses to the edgy artistry onstage inside. Illustrator John Pirman also likes the artistry of the building, designed by architect G. Todd Yeomans. “The minimal modern entrance and glamorous starburst chandelier produce an evening glow that invites me to explore what’s inside,” he says.